Buying a used car can be a great idea for anyone who is on a budget or doesn’t have perfect credit. New drivers, in particular, are prone to purchasing used cars for their first cars ever because of their affordability. However, there are a lot of risks involved with purchasing a used car. Although the current owner may give you details about the current condition of the car, they may not give you all the details. This means you will find out the hard way if something is wrong with the car after you’ve already purchased it. 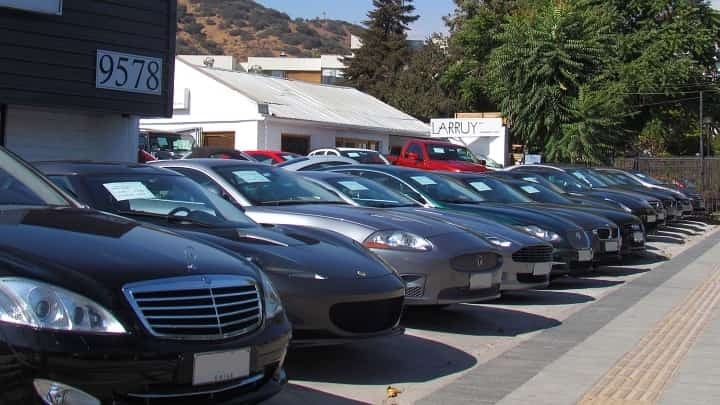 Often times, sellers and used car dealers will not offer any guarantees and will make you sign a due diligence from where you agree to accept the condition of the car as-is. If you want to protect yourself when purchasing a used car, you need to become knowledgeable in the steps you need to take to ensure that you’re getting a good deal. Below are 10 tips that you should follow whenever you’re buying a used car. Figure Our Your Price Range – Most people who shop for used cars are not so concerned about the make and model of their car. They are more interested in purchasing a working car that they can afford. Therefore, you should first decide the minimum and maximum amount of money that you’re going to spend on a used car. Look for Certified Used Vehicles–If you’re shopping for a used car at a dealership, some of them will have used cars that are certified. This means they have a warranty attached to them which ensures they are in good working order. If anything in the car were to malfunction, the warranty would cover the costs of repairing it. You might have to pay more for these types of used cards, but at least you’ll have peace of mind to know that it functions properly. Don’t Be Too Cheap – Don’t just go out looking for the cheapest used car you can find. The cheaper it is, the more problems that it likely has. You want to find a car that is within your price range and passes all of your inspections, even if you have to pay a little more than what you would want to pay. Be Careful w/ Private Sellers–You might find better deals with private sellers but you’ll also find a lot of scams too. It may be a good idea to have a mechanic inspect the vehicle before you purchase it so you can be sure to know what all the flaws are in the car. Research Multiple Sources–Don’t just use one source to find used cars. Use multiple sources such as online classified ads, print classified ads, online auctions, and so on. Check Oil & Muffler– Inspect the oil to see if the liquid is clear or not. If you see black oil, then it means the oil is bad. It should be clear. Also, check the emissions coming out of the muffler. If the emissions look blue or white, it could be an early warning sign that the engine is going to malfunction. You’ll want to have clear emissions. Interior Inspection–Look inside the car and see if it looks well kept. Take note of the mileage on the dashboard to see if it matches the mileage number you were given by the seller. If the interior looks to be in poor condition and the mileage is low, this could mean that the seller tampered with the odometer. Exterior Inspection–Study the outside of the vehicle and look for signs of rust or fresh paint. Sometimes a seller will cover up flaws from an accident by painting over them. Examine the paint closely to ensure it is the original paint of the car. Ground Inspection–Look underneath the car and see if there are any signs of leakage. Any kind of oil leak will be easily noticeable just by observing the paved ground under the car. Give the Car a Test Drive–Never purchase a used car that you have not tested on the road first. A test drive will tell you a lot about the functionality of the car right off the bat. Although it doesn’t mean everything works, it will at least ensure that the engine runs which is the most important thing. If you follow these tips then chances are you will end up purchasing a used car that will last you for a least a couple of years. You can never be too careful these days with all the shady dealers and sellers out there so taking precautions like these will certainly save you time and money in the end.